Book in for our training sessions - and try your first one for free! Discounts available for block bookings of 5 classes or more. Find us at The Climbing Works, Sheffield. 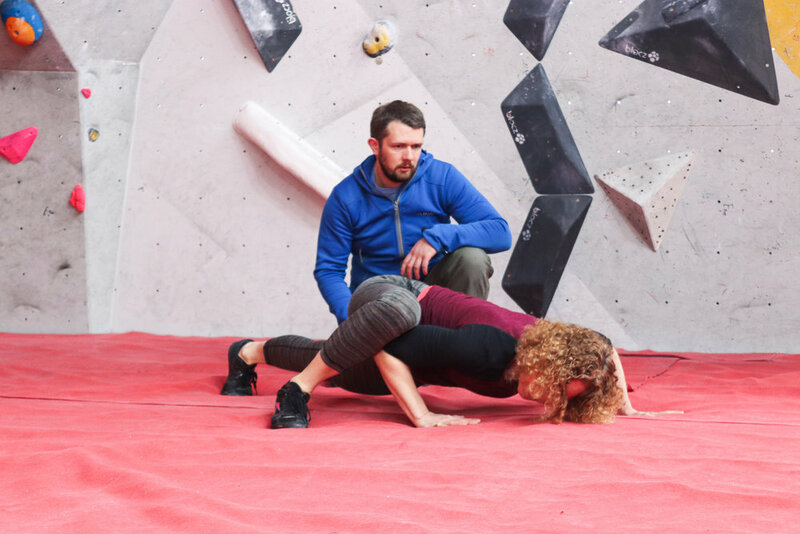 60 minute mobility class designed to find and loosen all those tight spots, get you moving better and show you how to apply your new found flexibility into functional movement, reducing your risk of injury and improving your performance on the wall! 60 minute circuits and conditioning classes designed to get you fit quick and build a balanced and well conditioned body that can handle all the training you want to throw at it! Build a bomb-proof core and solid shoulder setup perfect for sending those winter projects! 2 hour strength and conditioning class done the Peak Pro Fitness way! This is a 3 month programme designed to take away the stress of your winter training. Including physical profiling, warm up prep, body activation sequencing, body weight exercises and functional strength and conditioning. Want to get on the winter send train?? Get booked in!